Simple clinometer for measuring slopes or vertical angles. Great for Bioblitz events. 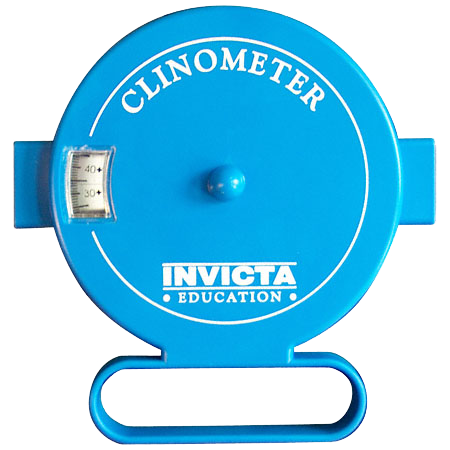 A simple clinometer designed with no external moving parts. Simply look through the eyepiece, line up the object in the viewfinder and read off the angle. A window on the side of the clinometer allows a second person to confirm or check the reading. Angles are given in degrees with a + or - to indicate an upward or downward slope. 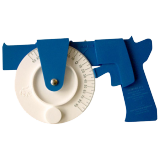 This clinometer will stand freely and so can be used to measure the angle of a sloping surface. 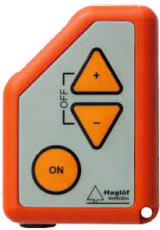 It will also operate upside down to measure the underside of a surface. Ideal for educational purposes.